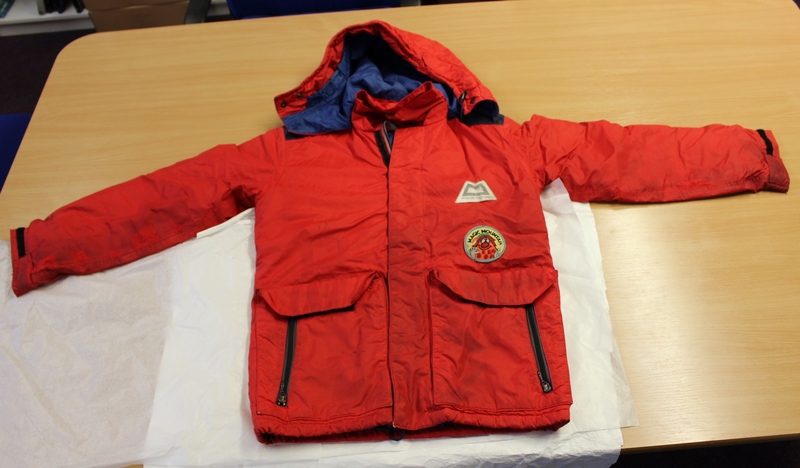 The Joe Tasker Collection includes the jacket worn by Joe on the expedition to Mount Kongur, China, in 1981. This expedition, led by Sir Chris Bonington, was the first to make a successful ascent of the 7,649 m (25, 095 ft) mountain. 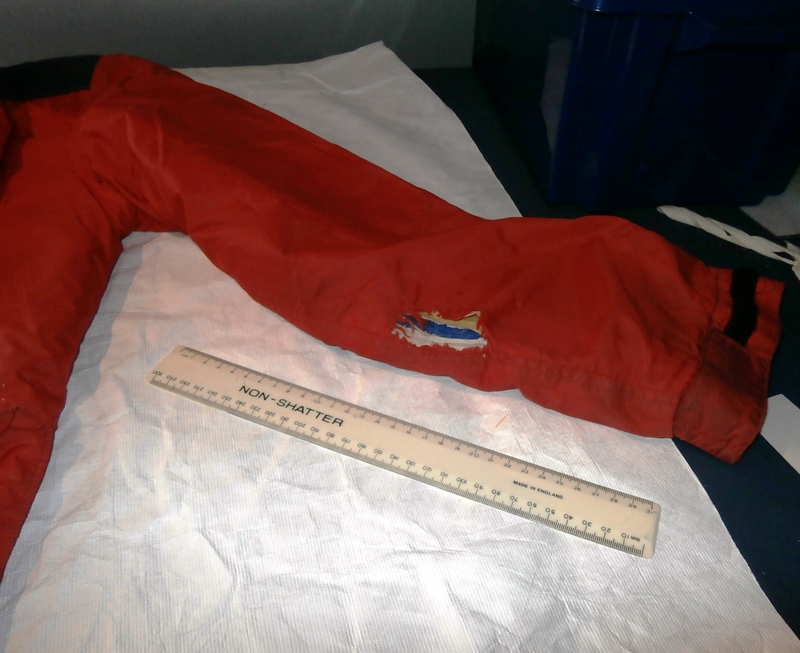 Joe’s specialist Mountain Equipment jacket was in a poor state of repair when it arrived with the Trust. It was shedding dirt with every touch and had rips in the arms going through several layers of fabric. As part of the Heritage Lottery Fund project to preserve and make accessible Joe’s collection, we had a section of funding assigned for conservation and repairs. Repair and stabilisation of historic objects, whether a letter, a book or indeed a mountaineering jacket, is always a job for a specialist; so we searched the Institute of Conservation’s database and got in touch with Jacqui Hyman at the Textile Restoration Studio. We are delighted with the work that Jacqui has carried out on Joe’s jacket. It has had a light clean in a gentle specialist detergent and, thanks to Point North Profabrics, the rips in the sleeves have been stabilised with some original 1980s Gore-Tex fabric. The jacket is now stable and preserved for generations to come but importantly, Joe’s use of the jacket isn’t hidden. It’s still possible to see the marks where the jacket got dirty and the areas where the rips have been repaired. You can even see where Joe has taken off the expedition badges and added a Magic Mountain badge to advertise his outdoors shop.